Last month, I had the opportunity to photograph the wedding of Bryce and Taylor in downtown Knoxville. 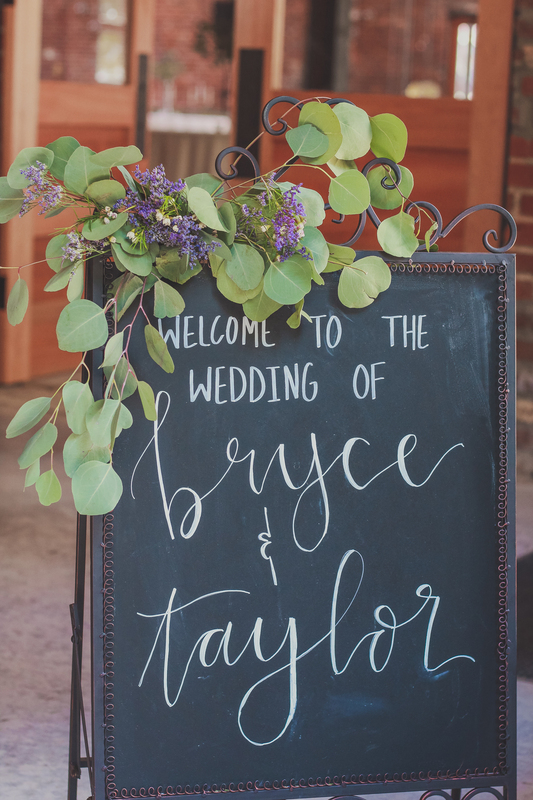 They were married at a new venue, The Mill and the Mine - a beautiful brick building with that industrial-rustic aesthetic - located across from the old Knoxville train depot. One of the coolest venues I've ever shot at, hands down. Since the venue is just a moment's drive from the heart of downtown, the wedding couple had asked if we could do the bridal pictures in the middle of Gay Street and Market Square. This was a hilarious challenge on a busy Sunday afternoon! We might have interrupted a performance by the Knoxville Symphony, but we got a lot of claps and cheers along the way. And the photos look incredible. My sister, Leah, assisted me during the shoot and captured some really beautiful moments as well. I love to shoot weddings with her. She has a real talent for it. In editing the photos, I decided to pull from the style of their venue and decor and give the photos an elegant, turn-of-the-century kind of look. You'll notice the greens, aquas, and lavenders have been increased to really pop off the photos. We had nearly 6,000 photos in all to go through and edit, which took a few weeks, but was well worth the work. We ended up with 700 we were really happy with. Below are some of my favorites from this wedding. Just click on any of them to see them full-sized.